Welcome to Part 3 of the thread for the Fashion and Style of the Royal Ladies of Luxembourg! 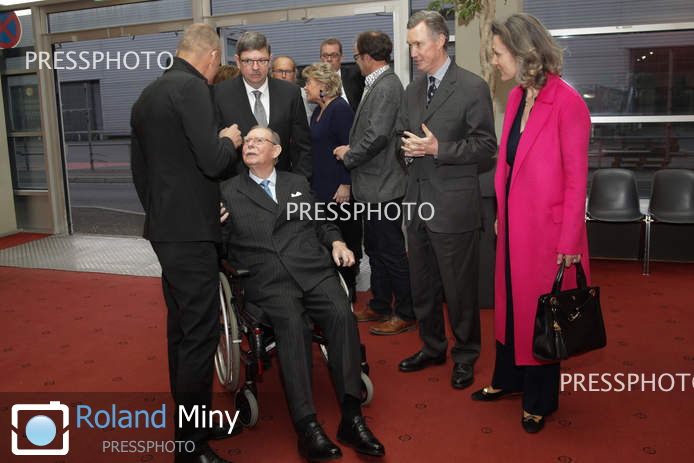 GD Maria Teresa looking lovely at the celebration of the 125th anniversary of the Luxembourg dynasty Nassau yesterday, December 8. Such a nice colour! Love the outfit and hair. Not sure about the eye makeup though.. looks heavy to me. Otherwise I think she looks great. Another New Year reception. GD Maria Teresa repeated an Armani outfit, I believe. I particularly like this outfit - understated but very attractive, very pretty, suits her. Agree!! The yesterday outfit is much better from today! The 175th anniversary of the postal administration and the 25th anniversary of the Post and Telecommunications company. MT coat makes her look much wider. And the matching purse looks like a cosmetics over night bag. Way too much. Not very flattering this dress on GD! The March 4th outfit was quite pretty IMO. The color combination looked nice and the while look was flattering. GD ladies at the screening of “Solar Impulse, l’impossible tour du monde” on March 17th.